Zoom's Horny Toad has a realistic feel and action which trigger predatory instincts in fish. 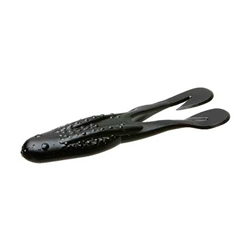 The Horny Toad is a 4.25" topwater frog with ultra-vibe legs that will swim and buzz over thick weeds, pads and grass. Each toad is salt-impregnated for extra bite-holding power.